I love a good and creative project, and today I am sharing this DIY Ruffled Lamp using Wire Ribbon. When I thought of this idea, I could hardly wait to get working on it so let me share it with you and walk you through a basic tutorial. 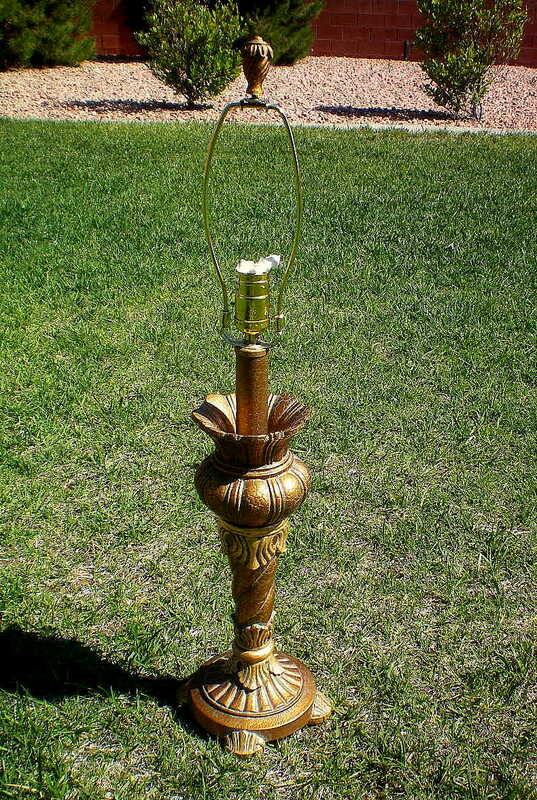 here are the TWO BEFORE’S this is a “9” year old lamp that I have had stored away. WALMART yep… you heard me Walmart ribbon all right. It did take 5 rolls to make this…. Still $16.00 bucks give or take…. for this lamp is fine by me. 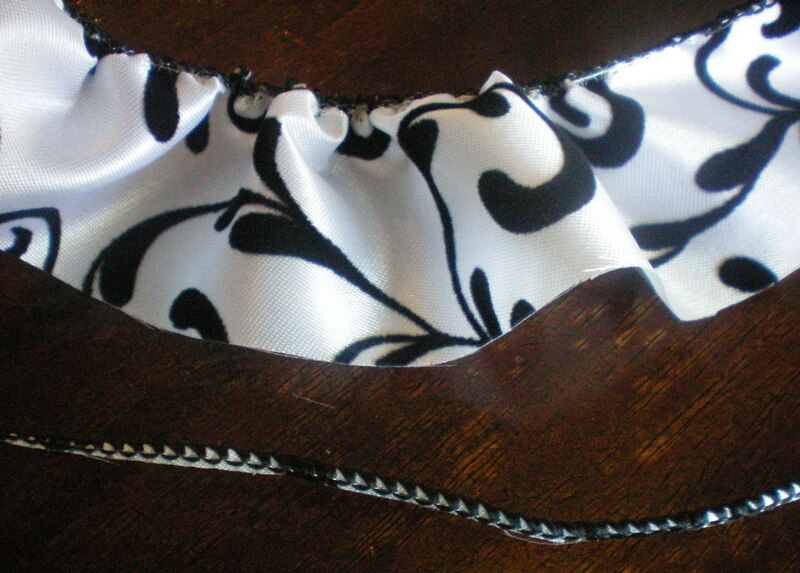 Its one of a kind and made with CHIC LOVE….. LOVE IT! HOW TO: I cut the wire off one side, one end to the other. 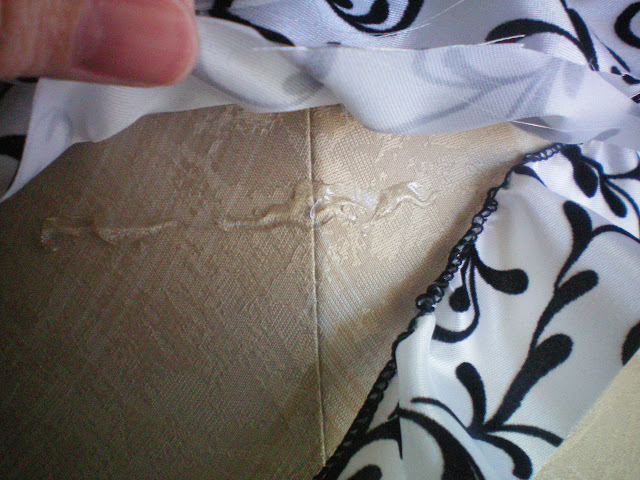 Then on the other side of the ribbon with the wire, I snipped it until the wire was exposed and pulled the ribbon creating a ruffled look. Then layer by layer I hot glued the ruffle ribbon on …. and OUCH (profanity was used) got one bad burn. OH’ WELL as my mother always says…. “BEAUTY IS PAIN” HA! 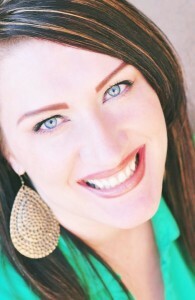 To look like this. Also I did not seal the fray with a lighter or candle, because I like the sort of torn rustic look. You can seal the edges if you prefer. Krylon Catalina Mist came to the rescue on the base. I did a clear shiny coat over the paint too. THANKS SO MUCH FOR STOPPING BY! I promise the Krylon Paint Giveaway is coming soon… I have one more PROJECT, my daughters pic. wall. Linking to 36th Avenue Party Time here & Tatertots and jello for W.W. Party here. Yay! So excited to see this. 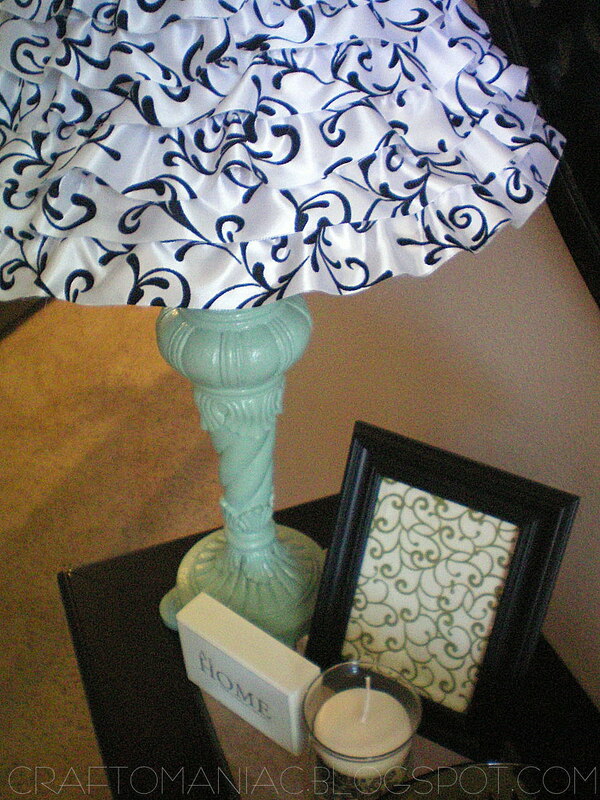 I messed a lamp redo yesterday and said to myself, fine, I will cover it in ruffles instead. That will cover the mess I made nicely. Waste not want not! So cute!! I love your color choice too! Your pain paid off. This is very pretty. So very pretty and I love the colors! Thanks for the inspiration! What a great idea! Love it!!!! Cute, cute, CUTE, Jen! I love that ribbon. And I love this idea! Oooooooooooh I love this lamp!!! LOVE!!!! 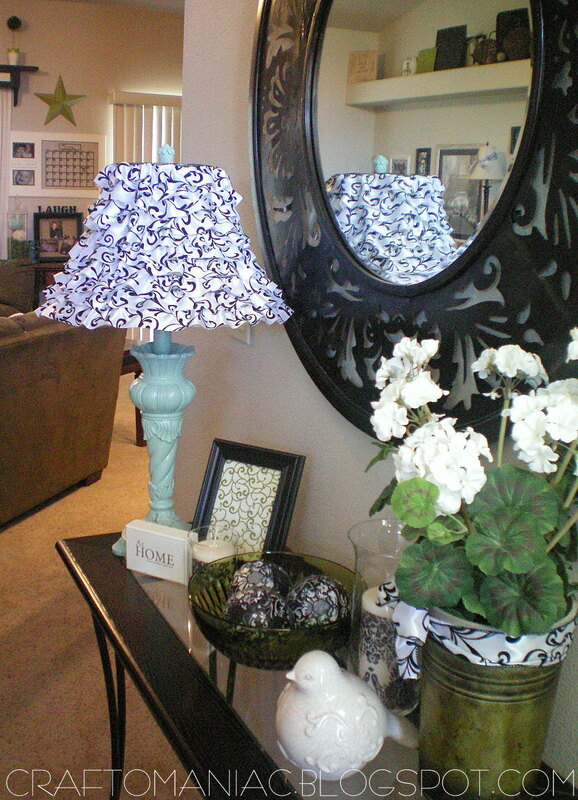 I have a lampshade that looks just like the before….I just gotta try this! Super cute! 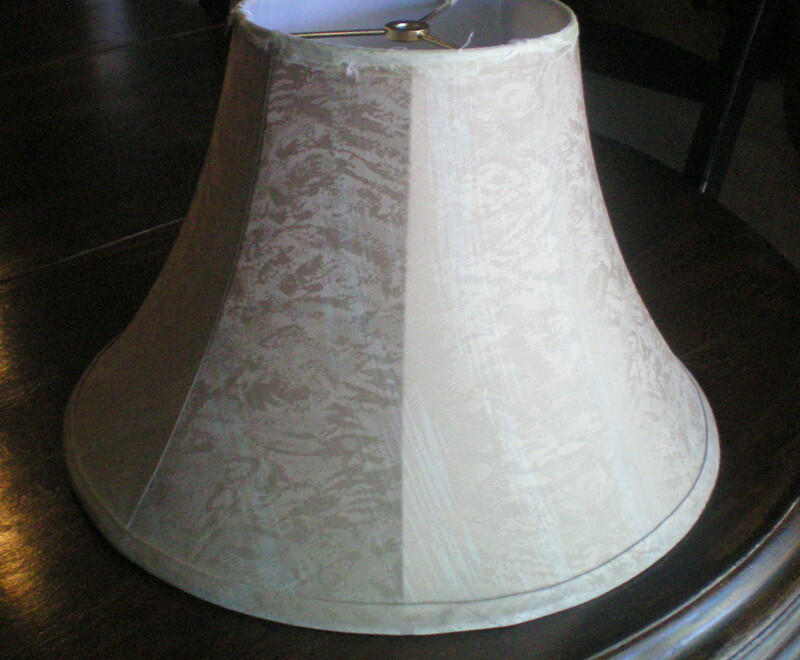 My hubby and toddler both conspired to kill my favorite lampshade and this is definitely one idea to resurrect it – I just can’t bare the thought of throwing it away! Gasp! 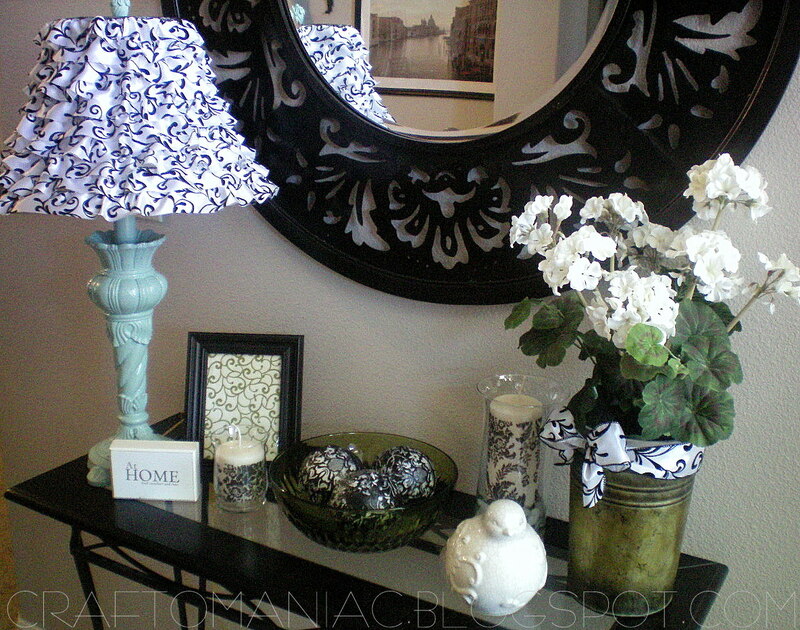 I love the ruffle lamp shade! I’m so going to have to do that! Thank you! This is AWESOME!!!!!!!!!!!!!!!! I love it…..Now I have to run to Walmart on a search for these goodies!!!! Thanks for sharing the how to!!! 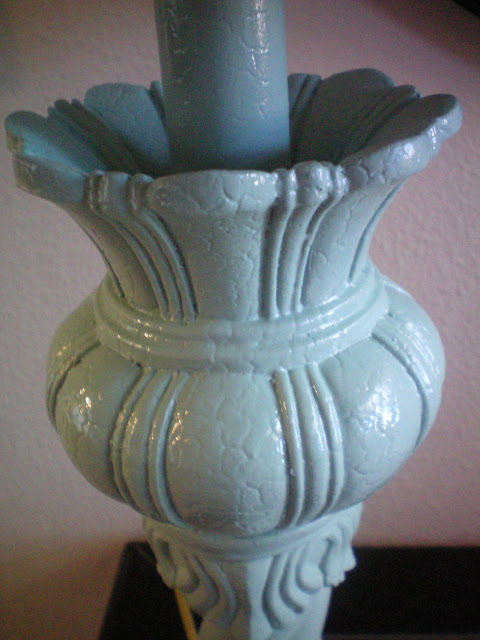 I love the color you picked on this lamp…..so pretty. Yet another MASTERPIECE! I can using this idea in my girlie girls rooms 🙂 TFS! Ughh, I freakin’ LOVE this! Simply elegant & gorgeous! I’m a new follower from the 36th Avenue Hop! Great blog and great ideas! what a great idea to do with the ribbon! Very cool! 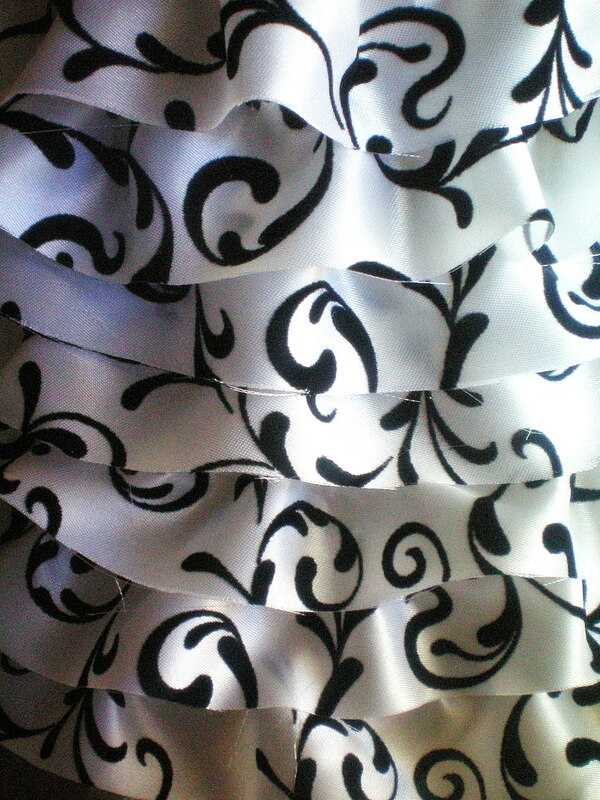 (and I’m not even a big fan of ruffles) Great idea to use the wire to ruffle the ribbon.. Yep, you really pulled it off. I love it. Oh my! I LOVE this. 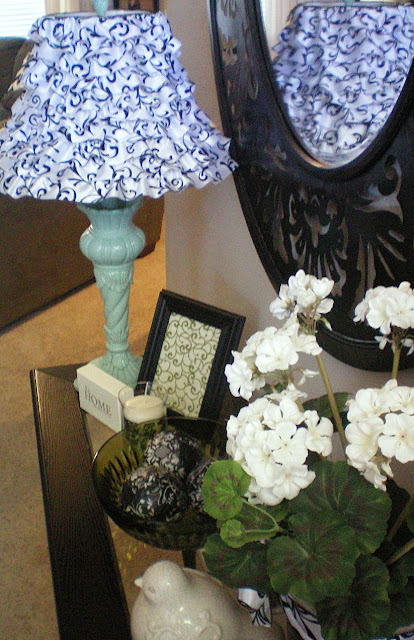 Wow-that lamp is gorgeous! I love the color and the shade is adorable. 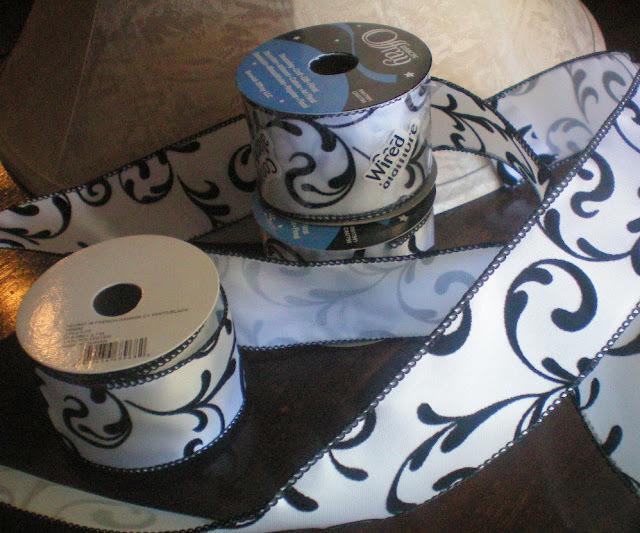 I just recently found some wide toile ribbon. My mind is racing with possibilities. This is a really really pretty lamp! I love the complete redo, especially the ribbon! Genius! That looks amazing! 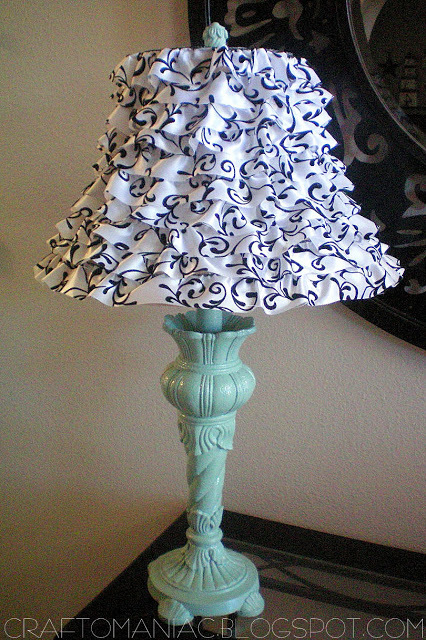 I love the ruffled look on a lampshade. The base color is perfect as well. So bright and summery! Great job! I’d love for you to check out my giveaway for 2 canvas pillows. http://www.alittleknickknack.com. Happy 4th! Looks like a great project! Thanks for sharing. Wow, that’s one amazing shade ! Very creative ! Simply love it ! What a great idea! I just bought 2 new lamps and the shades are just not what I want. Now I can spice them up. P.S. that mirror in the picture is beautiful! Where did you get it? How NEAT! 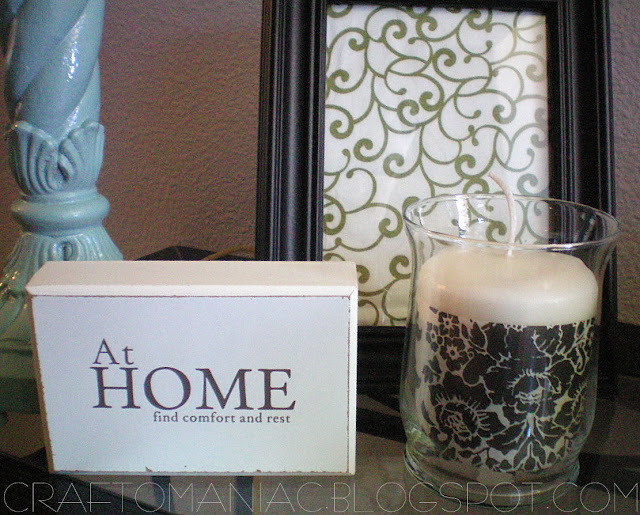 I found this picture on pinterest and was so EXCITED when it was linked to your Blog, what wonderful ideas! how great, gorgeous and lovely idea!!! 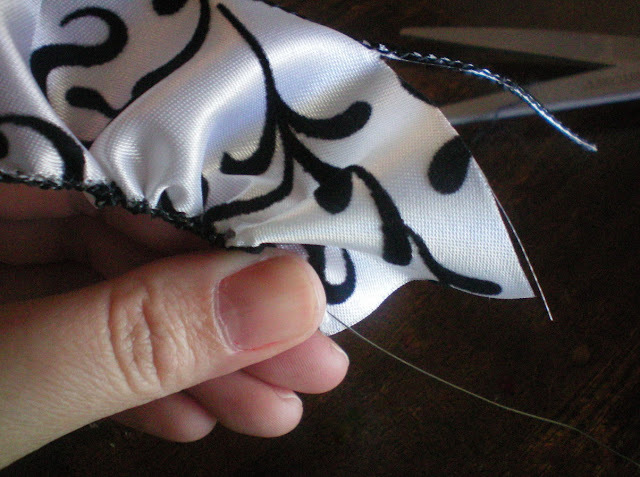 How do you determine the amount of ribbon to use? I love this.